Benjamin Flounders was a man of remarkable energy and wide interests. He was born to a Quaker family in Yorkshire on 17 June 1768. 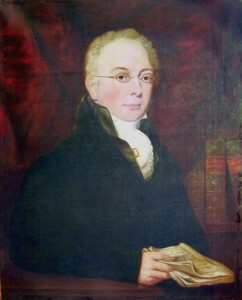 The Shropshire connection was forged when he inherited the Culmington Estate and £200,000 from his Quaker uncle, Gideon Bickerdike in 1807. 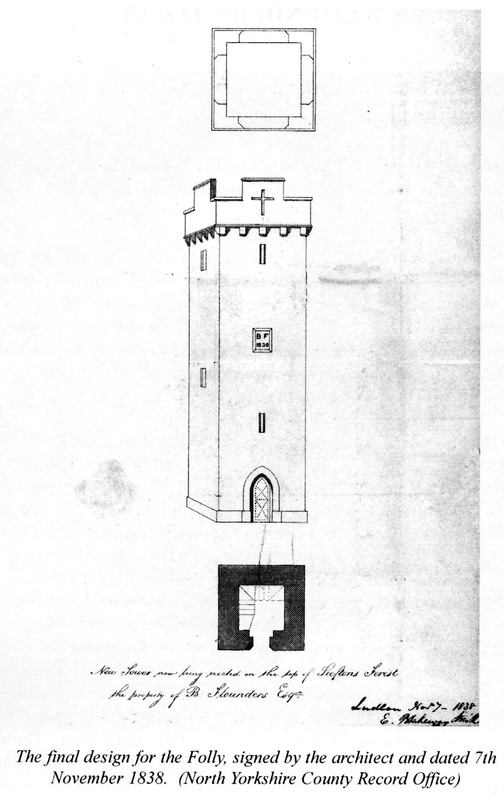 He built Flounders Folly in 1838, largely from local stone. The original plans are still with the North Yorkshire County Record Office. With his Northern roots, most of Flounders’ interests remained in that region. He was a campaigner for the Tees Navigation Act 1808; a leading instigator and Director of the Stockton-Darlington Railway, the first public railway which finally opened in 1825; a magistrate in North Yorkshire, County Durham and Shropshire; the leading signatory of the Yarm Declaration of 1834 on the funding of the Church of England; an investor in turnpike improvements in North Yorkshire and in Corvedale; a Governor of the Scientific Agricultural Association; an outstanding shot and a noted bon viveur. Finally, and not least, he was a lifelong promoter of education and through his will a major benefactor of schools in North Yorkshire.